This course focuses on writing to investigate the history of education. You will be invited to research your own questions about this history, especially as it informs your present experiences as students and teachers, and to experiment with creative ways to share your findings with readers. We begin our inquiry with broad topics of local and national concern. For the first research project, we consider the history and legacy of desegregation in Virginia’s public school system. We will learn about this history through reading the published research of ODU faculty member Dr. Epps-Robertson. 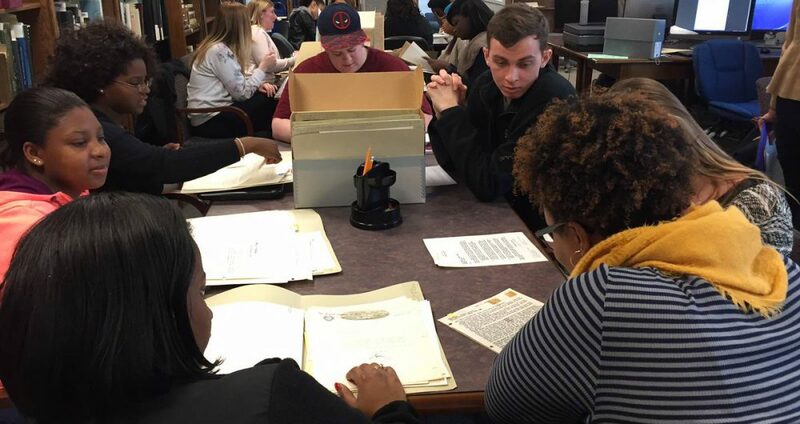 You will also conduct your own primary research through the Desegregation of Virginia Education collections. Then, for our second project, we turn to the teaching and researching of Hidden Figures. Here we will engage with Margot Lee Shetterly’s book, the recently released movie by the same name, and a variety of archival resources made available to educators through the Human Computers at NASA Project. In both of the above projects, each student will move from the broad topic to a more focused one. Even as we share starting points, in other words, you will have freedom to use your research and writing to explore questions about history and education that genuinely interest you. For the final research project, you will select your own topic. On the website for our course, I will provide a list of potential digital archives through which you may learn and write about diverse aspects of the history of education. But you will make your own decisions as you move from a general interest to a narrow topic, from research questions to a problem, from the sources you examine to your own researched argument. As you make your way through this recursive process of research and writing, you will develop a web-based portfolio that shares your findings and addresses your argument to readers. For all of the projects, we will undertake multiple kinds of research: secondary research in the library and online, as well as primary research in traditional and digital archives. You will also develop and revise your ideas through multiple genres of writing. In addition to writing academic research papers, you will have opportunities to compose websites, blog posts, and even social media as means for engaging in and circulating research-based writing. Image captured during visit to Special Collections and University Archives.